Damali Edwards is the founder and Chief Executive Officer of Atlanta-based Edwards Consulting Firm, Inc., a corporate talent search firm providing a suite of executive search and contract services. 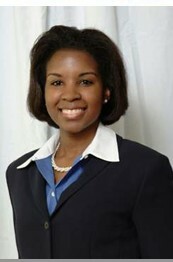 Ms. Edwards' career, spanning approximately 10 years, has been focused on working within the recruiting and HR fields. Drawing upon a wealth of expertise and experience, Ms. Edwards has proven ability in sourcing and placing top talent at all skill levels to meet the needs of diverse businesses across industry lines. With a results-driven approach to recruiting, outstanding commitment, and attention to detail, she has achieved enormous success in efficiently generating results for her clients nationwide. Prior to establishing Edwards Consulting Firm, Inc., Ms. Edwards rapidly advanced through high-level recruiting positions and received fast-track promotions at each company for which she worked. Her background includes corporate recruiting and human resources roles at ChoicePoint and Extreme Logic (acquired by HP), specifically within talent acquisition and management, employee relations, organizational development, and implementation of successful diversity plans. Ms. Edwards began her recruiting career with an employment search agency firm specializing in contract and direct-hire placements. She has worked with such companies and organizations as The Atlanta Journal-Constitution, Booz Allen Hamilton, CARE, DeKalb Medical Center, Ernst & Young, Gold Kist, IBM, King & Spalding and The Weather Channel. Her community involvement includes membership with the Atlanta Executive Search Roundtable, Board of Directors Network, Delta Sigma Theta Sorority, Technology Association of Georgia and The International Alliance for Women. Ms. Edwards currently serves on the executive board of GlobalExecWomen and previously served on the founding board of Tuesday Women. She is also a member of the Small Business Program Development committee at the Metro Atlanta Chamber of Commerce and a past committee member for Diversity and Inclusion at Agnes Scott College. Ms. Edwards was educated at the University of Virginia in Charlottesville, Virginia, where she received a Bachelor of Arts Degree in Sociology. In addition, Ms. Edwards has completed training in behavioral and core competency interviewing with Behavioral Technology and Development Dimensions International (DDI). She is also professionally skilled in AIRS internet search techniques. She is married with one son and resides in Decatur, Georgia. Ms. Edwards can be reached at info@edwardsconsultingfirm.com.